So we can see the zoom count is continually creeping up and up, and I wouldn’t be surprised to see an ultrazoom packing 30x in the next 6 months or so. Depending on whether your glass is half-full or half-empty, I think one interesting aspect is that the zooms are growing in the wide-angle range as well as the telephoto, though perhaps not in equal proportions – if we take a 36-360mm 10x zoom as our baseline, from a few years ago, today’s 26-624mm (4x) cameras are about 27.8% wider on the wide-angle end, and 73% longer on the telephoto end. This is disproportionately skewed towards the telephoto end, but it’s nice to see these cameras offering a significantly wider angle at all, compared to the earlier days of digital cameras when developing 10x lenses meant keeping the same 36mm starting point and just changing the 108mm telephoto end to a 360mm. An interesting note is that both Canon’s SX1 and Sony’s HX1 ultrazooms are their first non-SLR cameras to feature a CMOS, rather than CCD sensors. This isn’t an outright positive – CMOS and CCD are simply different technologies, without one being inherently superior to the other. Historically, CCD sensors have produced better image quality, although CMOS has an inherent advantage in readout speed and Canon’s CMOS sensors for their DSLRs have beat out every other manufacturers’ CCD sensors in terms of high-ISO noise for a half-decade now. For what it’s worth, Canon’s SX1 CMOS seems to perform slightly worse than the very similar Canon SX10, which uses the same lens but a CCD sensor, according to a head-to-head Cameralabs comparison. Olympus has been hammering away at this niche market for years now with its mju line of waterproof cameras. The other big players seem to have finally jumped on the bandwagon, with Canon’s D10, Fujifilm’s Z33, and Panasonic’s TS1. It’s a bit sad to see another innovative market or feature that Olympus found, targeted, and penetrated first, only to eventually lose that ground to other bigger players who seized on their innovation. Then again, this is a huge boon for consumers, not only because it offers more selection, but frankly because Canon, Fujifilm, and Panasonic know how to execute and produce quality cameras in a way that Olympus can only dream of. 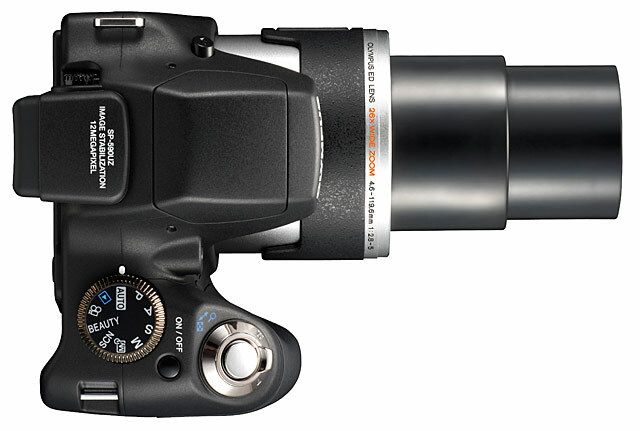 Panasonic has had a long and successful run with its TZ series of ultrazoom cameras. They first introduced their 10x, 1.6in thick TZ1 in 2006, back when the only 10x+ cameras on the market were huge, bulky ultrazooms like the Canon S3 (3in. thick), Sony H5 (3.6in. ), or Panasonic’s own 5.4in. FZ30 behemoth. The TZ was an ideal blend of versatility and compactness, which more or less made it the ideal travel camera, especially as one of the few cameras (much less ultrazooms) to offer a 28mm wide-angle lens at the time. Even when Canon and Sony attempted to mount some competition with their own ~2in. ultrazoom releases in the past year, they were still significantly bulkier and lacked the all-important 28mm wide angle end. Finally, 3 years after the release of the original TZ, Canon appears to have come out with a viable contender in the SX200 IS, a 1.5in compact sporting a 28-336mm (12x) f/3.4-5.3 lens. 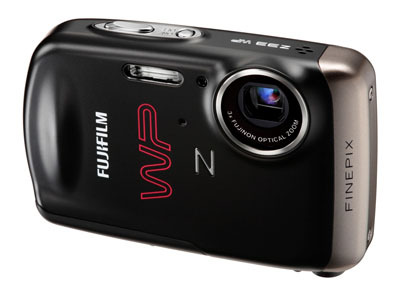 It’s also got the ability to record 1280×720, 30fps video (720/30p). But like clockwork, Panasonic’s already rolling out the next generation of cameras that, on paper at least, offer more innovative features and better performance. The newest TZ7/ZS3 continues Panosonic’s recent trend of setting 25mm as the new wide-angle standard, featuring a 25-300mm 12x lens at f/3.3-4.9. The ZS3 also features a 1280×720, 60fps video mode (720/60p) (though with this level of processing throughput, one wonders why 1080p couldn’t be offered), and even allows you to utilize the optical zoom while recording (something which many cameras, Canon SX200 included, surprisingly can’t). Following the trend of some other high-end Panasonics lately, the ZS3 also seems to be offering an oversized sensor, which allows it to deliver “full-frame” coverage for its lens and offer the same angle of view irrespective of aspect ratio (so you won’t get cropped off images when shooting 16:9 video on a native 4:3 sensor). 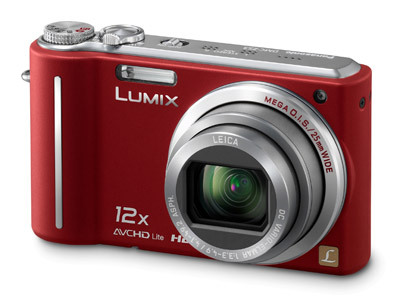 The Panasonic ZS3 also offers a 2.3fps burst, and 6fps burst in a 3MP mode, compared to the SX200’s paltry 0.8fps. Sony, meanwhile, just pumped out its H20 compact ultrazoom, which still tips in at a bulky 1.9in and features the same boring restrictive 38-380mm zoom. On the other end of the spectrum, Samsung introduced the HZ15, which features a 24-240mm 10x zoom. Oh, and in case you were wondering about image quality (and the oft-repeated stigma that Panasonics can’t do low-light), here’s a comparison between last generation’s Panasonic TZ5 at ISO1600 and dcresource’s recent review of the Canon SX200 IS at ISO1600. So for now, it seems, Panasonic still rules the roost as king of compact ultrazooms, and on paper the ZS3 appears to be the perfect camera for anyone looking for maximum versatility and portability in a single package (i.e. travel photographers). This entry was posted on Thursday, March 26th, 2009 at 1:27	and is filed under Market Analysis. You can follow any responses to this entry through the RSS 2.0 feed. You can leave a response, or trackback from your own site.